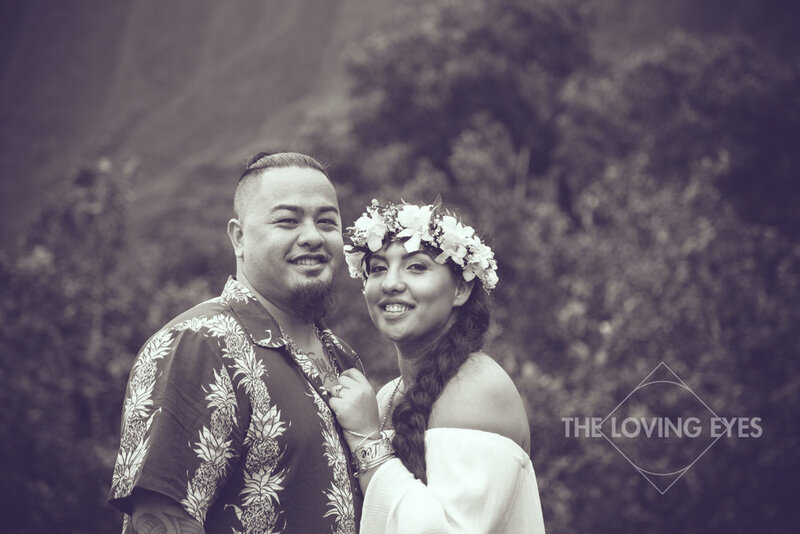 The MacNeil's were excited to have their photos taken off the beach, somewhere fun that showcases a different side of Hawaiʻi. So I suggested one of my favorite spots in Kāneʻohe, a lush, green botanical garden with stunning views of the Koʻolau Mountains. I'm not familiar with many places in Hawaiʻi yet alone the country where you can walk through a beautiful tropical garden alongside a pristine lake, turn around and take in breath-taking views of staggering cliffs and mountainsides. But I think the best part of taking family photos at the Hoʻomaluhia Botanical Gardens are the ducks that can be found at the lake.